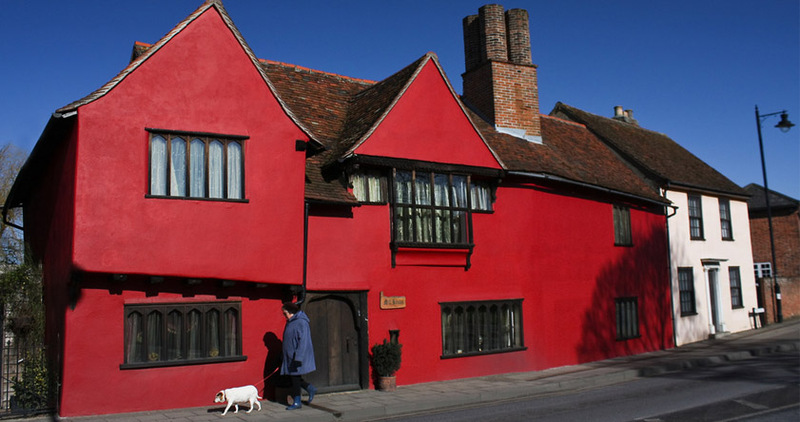 Are you looking for a traditional bed and breakfast in the ancient market town of Sudbury? You need look no further than the warm welcome awaiting you at Mill House Bed and Breakfast on Cross Street. This charming, 500-year-old Grade II listed building is a mere five minutes’ walk from the centre of town. 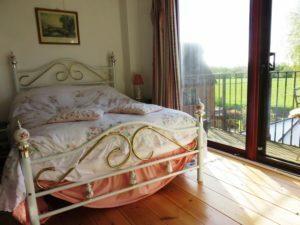 It also boasts breathtaking views of the water meadows and River Stour from the guest rooms. Though the building has centuries of history, it has been painstakingly kept and restored by owners Peter Mills and Maria Mills-Farinas. Mill House Bed and Breakfast carries a magical ambience. This is due to the ‘days gone by’ atmosphere of the exposed oak stud work and vaulted ceilings. The large inglenook fireplace entices you to sit by the log fire in winter with a pot of tea. Each of the double bedrooms at Mill House Bed and Breakfast has its own special character. All of them are large, comfortable, and feature those beautiful and expansive views we mention. Each room has a private or en suite bathroom to boot. The large bathroom, attached to the romantic ‘Room at the Top’, has a cast iron Victorian bath with shower over. And the cosy ‘Dove Room’ has its very own en suite in the room. Contributing to your stay are toiletries, hairdryer, towelling bathrobes, cotton sheets, and feather quilts or blankets. Hypoallergenic bedding and extras for those who may need it are also available. In warmer weather, enjoy a pot of tea/coffee and homemade cakes in the gardens or on the balcony. Otherwise, soak up the bucolic atmosphere of the river pond and meadows within the large conservatory. Across the meadows you’ll be able to see ducks, swans, highland cattle, and dogs having plenty of fun and exercise. The meadows are very popular with walkers! The breakfast philosophy is to keep it simple. On offer are a variety of fresh produce, bread and cold meats, free range eggs, salmon or haddock, fruits, homemade preserves, and fresh fruit juice. There is no buffet, rather full table service by your hosts. And finally, if it’s information about the area you need, Peter and Maria have a plethora of local knowledge to share with you after 25 years of residence. 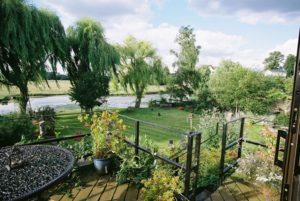 Nearby you will find many sites of interest such as Gainsborough’s House, Long Melford Hall, Colne Valley Railway, Flatford Mill, and Christchurch Mansion to name but a few. If you’re a golf enthusiast, make sure to visit Newton Green or Stoke By Nayland for excellent courses only a short drive away. To view comments from past guests, you can see Mill House Bed and Breakfast on TripAdvisor, or click here for some comments direct from the house. To see prices and enquire about availability, fill out the simple form on the website.